The museum’s former theatre has been transformed into a flexible, multipurpose space. 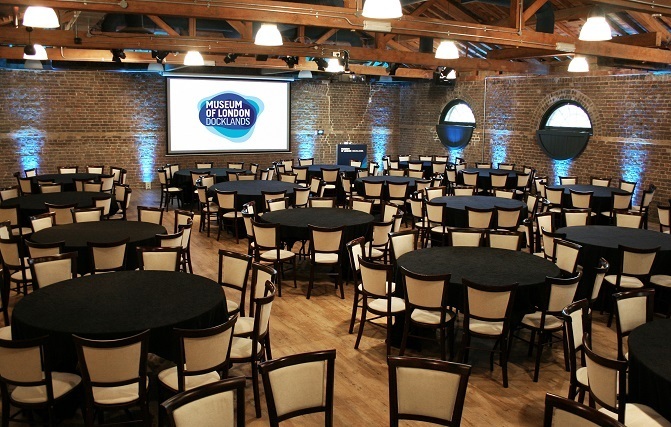 The Museum of London Docklands in Canary Wharf has updated its corporate event hire offering by refurbishing its former theatre into a multipurpose event space. The Wilberforce Room, once a tiered theatre with fixed seating, has been completely transformed into a new space that can accommodate a much wider range of event set-ups. By removing the seats and levelling out the floor, the room can now host a boardroom set-up for up to 40 people, cabaret style for 180 people, a seated dinner for around 240 people, theatre style for 270 people and receptions for up to 350 people. Housed in a 19th century sugar warehouse, the Museum of London Docklands tells the story of London’s maritime and trading history form the 1600s to the redevelopment of Canary Wharf. The Grade I listed building, where contemporary fittings mingle with Georgian columns and floors, provides a uniquely historical setting in the otherwise highly modern business district. 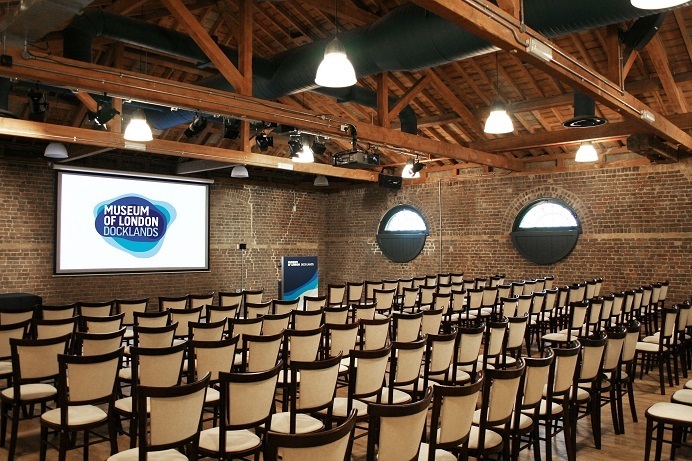 To find out more about events at Wilberforce Room or any other rooms at the Museum of London Docklands or to arrange a site visit, please get in touch.